In a time of protest over perceived law enforcement practices, an act that occurred on Christmas Day in Prince George's County has drawn much favorable attention both for itself, and for its possible larger meaning. 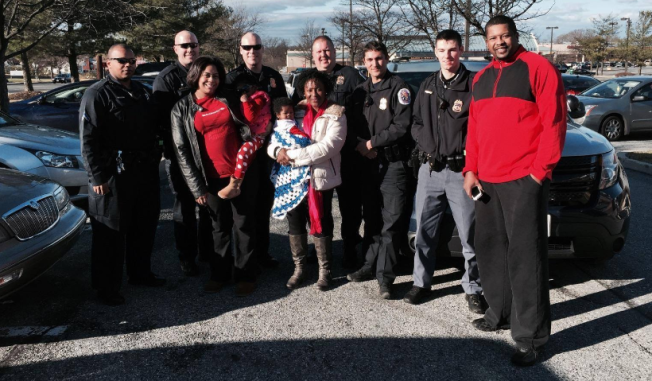 As told by the county police department, a family paid for breakfast for several uniformed county police officers on Christmas morning in a gesture of evident good will. By Friday, a brief account of the gesture, posted on the police Facebook site, had drawn 2,186 "likes'' which is far more than received by any other posting on that site, at least as far back as mid-October. According to the Prince George's County Police Facebook page, the family was passing through Oxon Hill from out of state on Christmas Day, when they stopped at an IHOP restaurant where the officers were also having breakfast. Post by Prince George's County Police Department. Moreover, it describes the gift as having "exceptional meaning'' this year. That appears to be a reference to the protests that have sprung up over the deaths of two unarmed black men elsewhere at the hands of police officers.